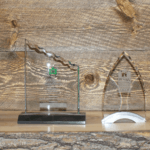 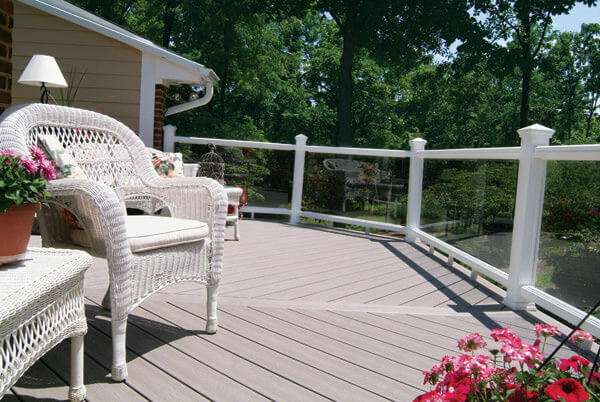 Trex decking not only invented the composite decking industry it has continued to innovate and lead the market for over twenty years. By combining recycled plastic and wood fibres into a deck board Trex has removed tons of waste from landfills, engineering a material that is low maintenance, durable, fade/stain resistant and environmentally friendly. 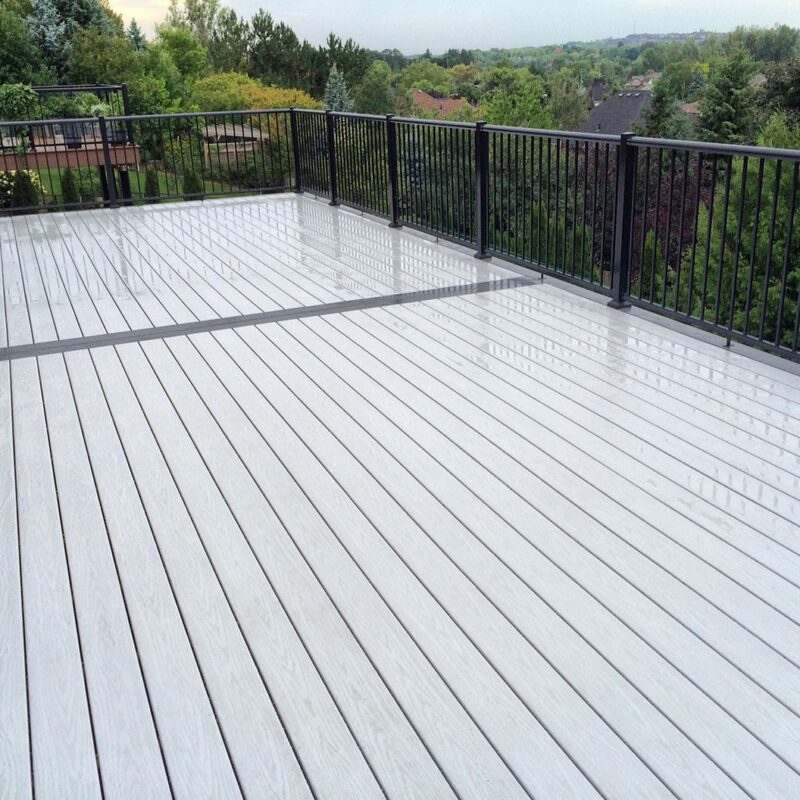 Trex decking is offered in 18 tasteful colours to compliment any decor. 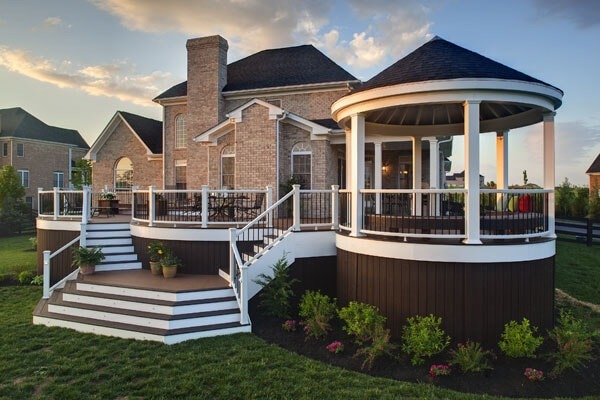 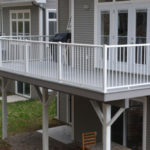 Products such as Rain Escape, Lighting, Handrail and Elevations allow consumers to bring even the most intricate designs to life and maximize their decks features and beauty. 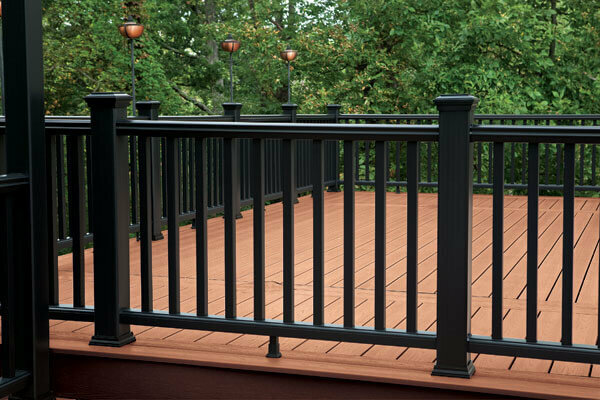 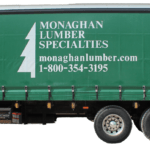 Please refer to the list below for Trex products we have in-stock, if you don’t see what your are looking for give us a call, we regularly receive shipments from our supplier allowing us to offer prompt delivery for special order items. 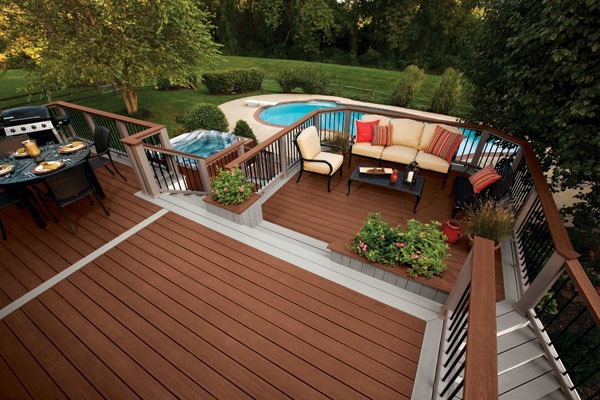 PVC (polyvinyl chloride) decking from Endeck is one of the most resilient decking materials on the market today. 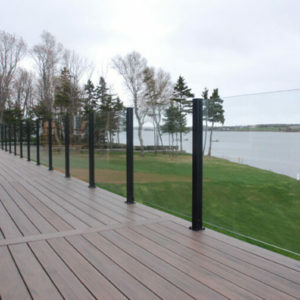 Endeck is ideal for docks and decking in close contact with soil, pools, spa’s or other wet areas. 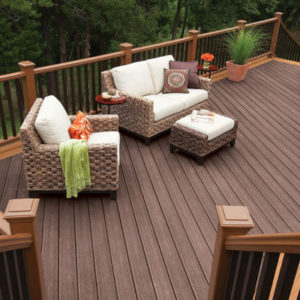 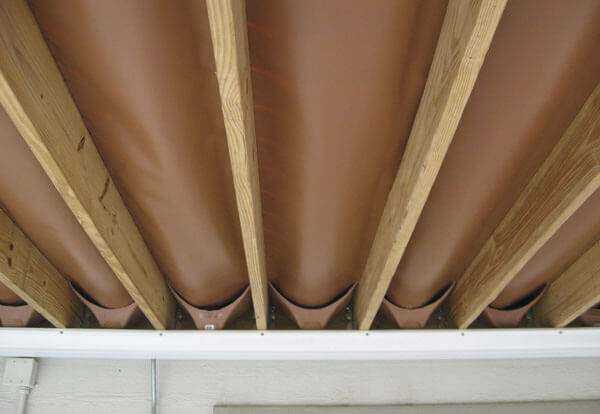 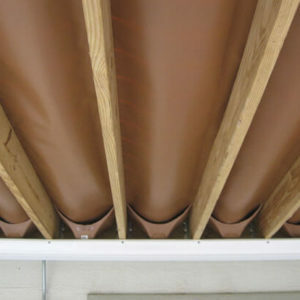 It’s unique closed cell core reduces weight and heat retention while its hard PVC coat provides a tough, non slip, easy to clean surface. 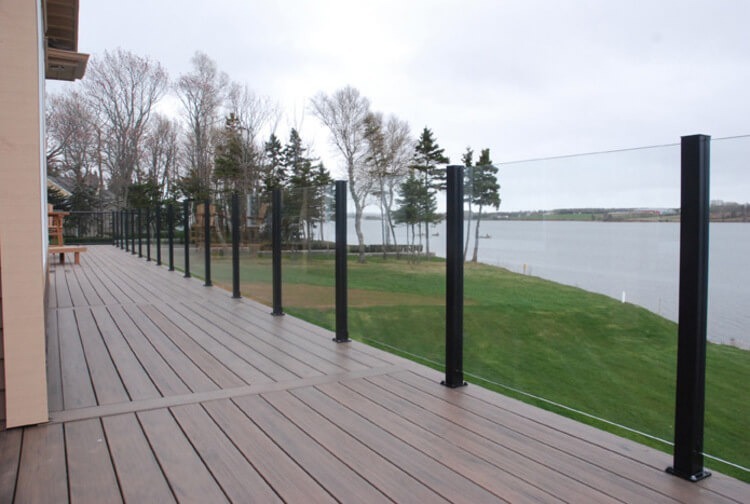 Endeck is extruded and capped with 100% virgin plastic producing a material which requires no annual maintenance and is fully recyclable. 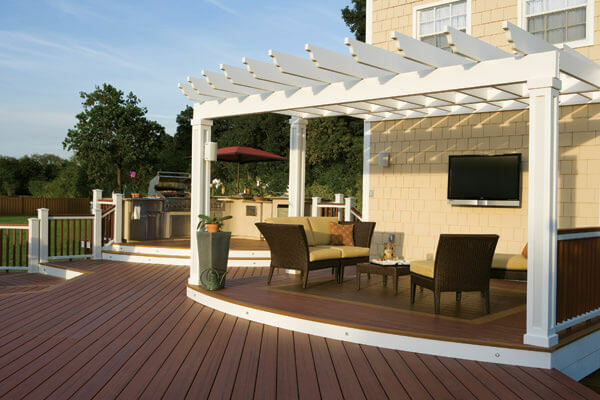 Refer to the list below for in stock Endeck items. 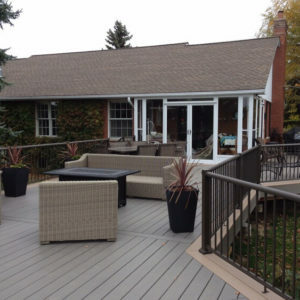 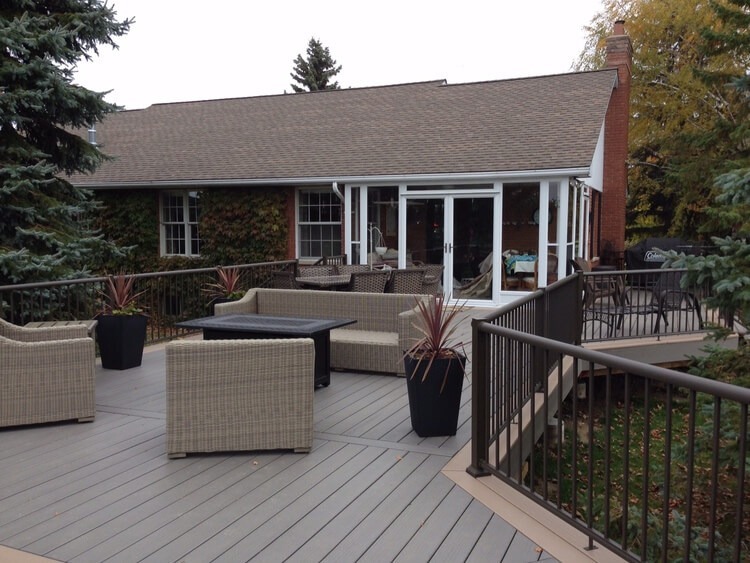 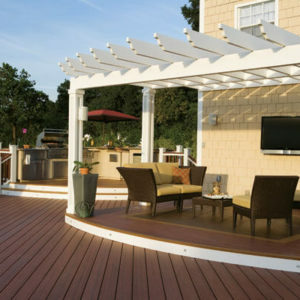 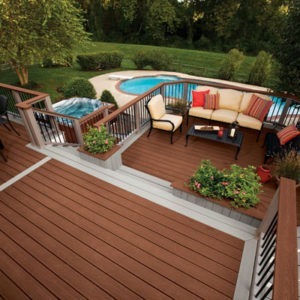 Synthetic or HDPE (high-density polyethylene) decking from Lumberock is the ultimate maintenance free decking material. 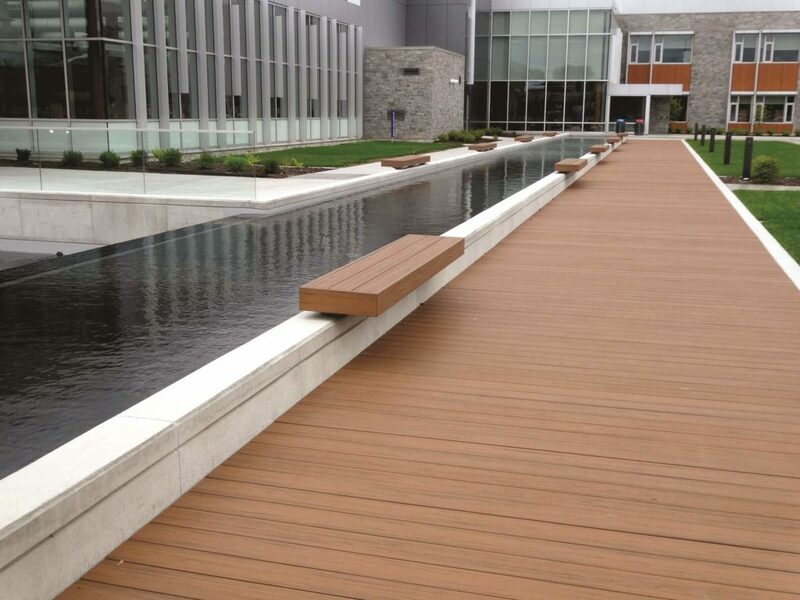 Offered in various sizes and profiles, Lumberock’s unique composition of HDPE with added minerals provides the ultimate balance of performance and appearance. 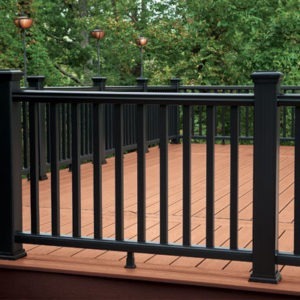 It can be placed underwater and in contact with soil making Lumberock a perfect choice for decks, docks, porches and patios. 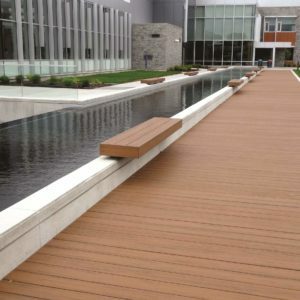 Lumberock decking is uniformly extruded as one solid board and therefore can be cut, mitred and routered just like a wood plank. 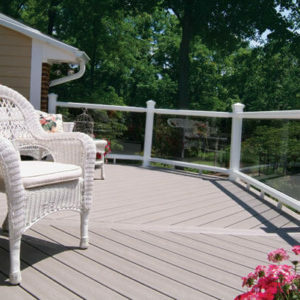 Incredibly, light scratches easily disappear when heat is applied. 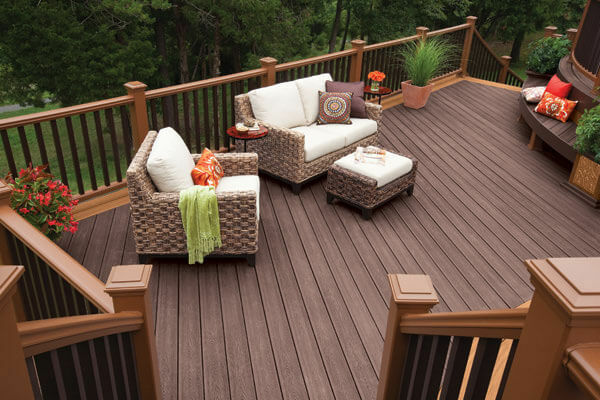 Backed by a limited lifetime warranty, Lumberock is the best maintenance free choice on the market.